State and federal officials readily acknowledge that the shadows that hung over the 2016 vote have not cleared. These include attempts to interfere with state voting systems, dissemination of misinformation through social media platforms and using techniques such as automated “bots.” With the recent revelation that the data of up to 87 million Facebook users may have been harvested by Cambridge Analytica, the firm connected to the Trump campaign, there is heightened fear and confusion ahead of November’s midterm elections. We’re bringing together digital, policy, and philanthropic experts to address those threats to a functioning democracy, the concrete ways to protect election integrity in the United States and around the world, and the role of funders. The meeting takes place in Menlo Park at the Hewlett Foundation, which recently pledged $10 million to study social media and digital disinformation. 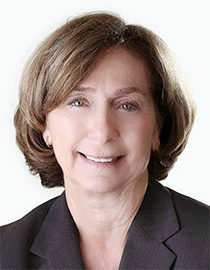 Ann Ravel is the former chair of the Federal Election Commission and the California Fair Political Practices Commission. Before joining the FPPC, Ms. Ravel served as Deputy Assistant Attorney General for Torts and Consumer Litigation in the Civil Division of the United States Department of Justice. Ms. Ravel also worked as an attorney in the Santa Clara County Counsel’s Office, ultimately serving as the appointed County Counsel from 1998 until 2009. Ms. Ravel represented the County and its elected officials, provided advice on the state Political Reform Act, and initiated groundbreaking programs in elder abuse litigation, educational rights, and consumer litigation on behalf of the Santa Clara County government and the community.She is a leading expert on what needs to be done from a public policy perspective to combat deceptive digital politics. Read her full bio here. Christopher Jerdonek has served on the San Francisco Elections Commission since 2014, served as President in 2015 and 2017, and currently chairs the Commission's Open Source Voting System Technical Advisory Committee. He has been active in election reform for over fifteen years, including drafting Oakland’s ranked-choice voting charter amendment that passed in 2006. He has served as a polling place inspector in San Francisco seventeen times. He works as a software developer by day and recently co-founded a start-up. He has contributed code to many open source projects including Python, Django, Mercurial, and WebKit. He has an A.B. in mathematics from Harvard and a Ph.D. in mathematics from the University of California, Davis. 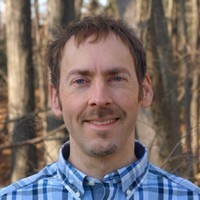 Samuel Woolley has conducted cutting-edge social science research on political bots and is one of the foremost academic experts on this topic. He heads the DigIntel Lab which is hosted by the Institute for the Future. He specializes in the study of automation/AI, political communication, and information warfare. He is also a co-founder and former research director of the Computational Propaganda (ComProp) research team at the University of Oxford and the University of Washington. He and his collaborators have done foundational research on the topics of online disinformation and political manipulation. Read his full bio here. 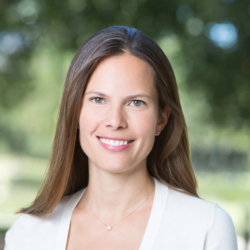 Kelly Born is a program officer for the Madison Initiative at the William and Flora Hewlett Foundation, where she oversees grantmaking in areas including campaigns and elections, media and journalism, and civic engagement. Previously, Kelly worked as a strategy consultant with the Monitor Institute, a nonprofit consulting firm, where she supported strategic planning efforts at a number of foundations. Earlier in her career, she consulted extensively with nonprofits, the private sector, and governments in the U.S., Africa, Asia, Latin America, and Europe. Read her full bio here. 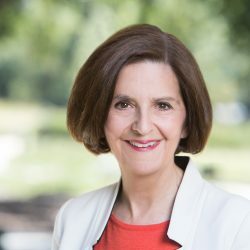 Jean Bordewich is a program officer for the Madison Initiative at the William and Flora Hewlett Foundation, where she oversees grantmaking related to U.S. democracy reform, including election administration reforms. Previously, Jean spent over 20 years as a Congressional staff member. Most recently, she served for more than five years as staff director of the U.S. Senate Committee on Rules and Administration. In that capacity, she worked on campaign finance disclosure legislation, a new law to broaden access to voting for military and overseas voters, Senate rules and regulations including filibuster reform, improving election administration, streamlining the process for confirmation of Presidential nominations, Senate operations and administration, and oversight for the Federal Election Commission, the Library of Congress, and other agencies. She also served as staff director of the Joint Congressional Committee on Inaugural Ceremonies, which was responsible for all 2013 Presidential Inaugural events at the U.S. Capitol. Read her full bio here. This program is open to members of both Northern California Grantmakers and Bay Area Democracy Funders Group. If you are not an NCG member, contact the Registrar at registrar@ncg.org.